The First Ability Guidebook in Greek!!! Πηγαίνω στον Παρθενώνα! A free support to help people with αυτισμό! This was Christmas in November for me! 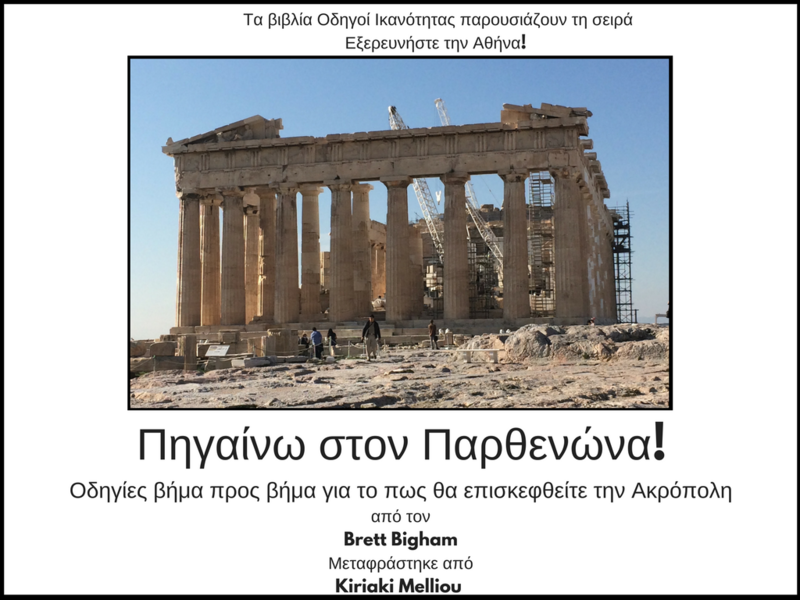 I am so excited to share that an amazing teacher from Greece, Kiriaki Mellow, has translated “I Am Going To The Parthenon!” into Greek!!!! This Ability Guidebook now becomes a tool so support local teachers and families to help people with autism get out into the community more. I am so grateful to Kiriaki for her help in this. I know these books can help people with autism, and I am proud and happy every time I make a new one, but they are limited if they are only in English. Kiriaki just opened doors that I cannot open by myself. If you know any teachers in Greece, please share this out. Not only are they awesome for people with autism, but they can alleviate stress for people who have anxiety about going to unknown places. And, believe me, every elementary school teacher who takes a class to the Parthenon can benefit by using this as a field trip guide! Again, thanks to Kiriaki and to the staff at the Acropolis. Greek Ability Guidebook_ I Am Going To The Parthenon! Previous Previous post: The NEA and Learning Forward have published a piece I wrote. Enjoy! Next Next post: I Am Going To Zongo Falls! Africa gets another Ability Guidebook!